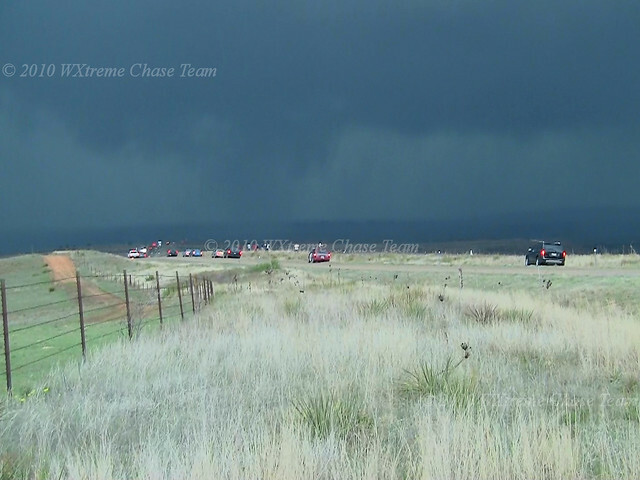 The WXtreme Chase team met up in Cordell, OK and departed around noon for the Clarendon, TX area. 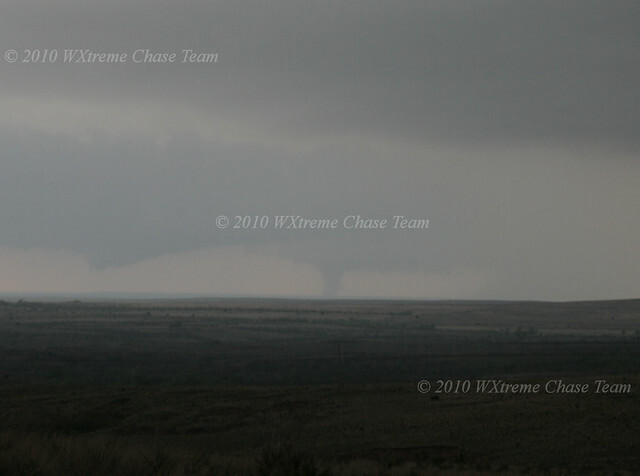 The day's setup looked to be a classic TX Panhandle dryline day with the Caprock in the mix. 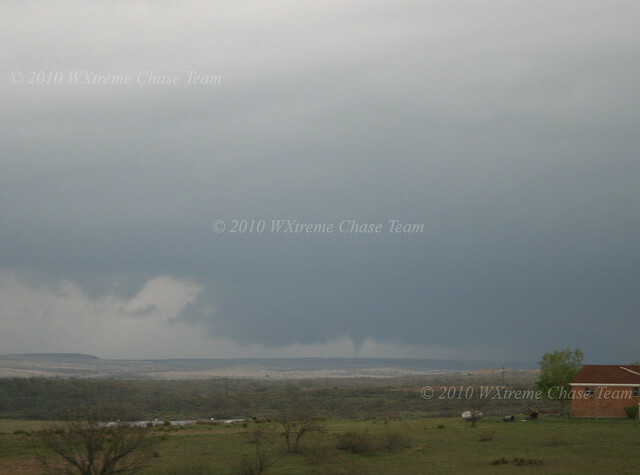 There was a secondary target further S along the Caprock in the Matador area, but at least for the middle to late part of the afternoon the northern target seemed to have better dynamics. 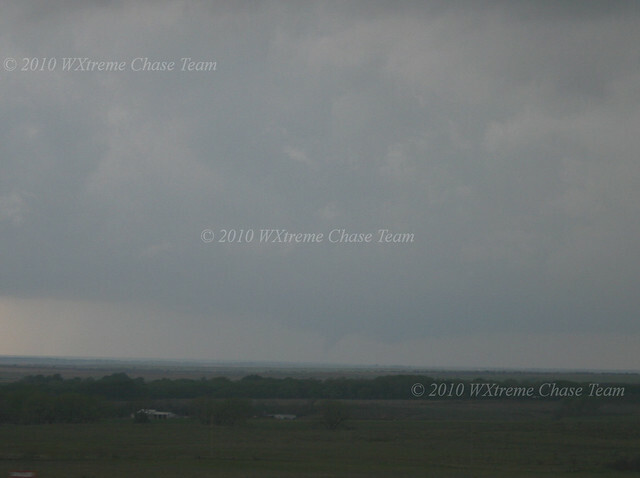 We set up in Hedley, TX at about 3:00 pm CDT to wait for things to pop. We didn't have long to wait. 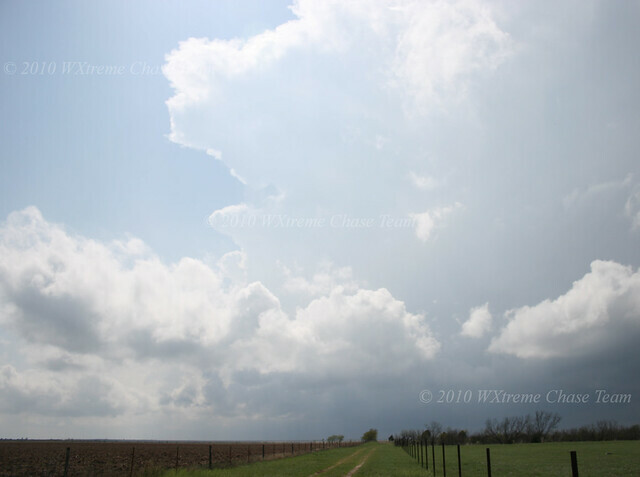 By 4:15 CDT a storm had become established about 25 miles to our WSW. 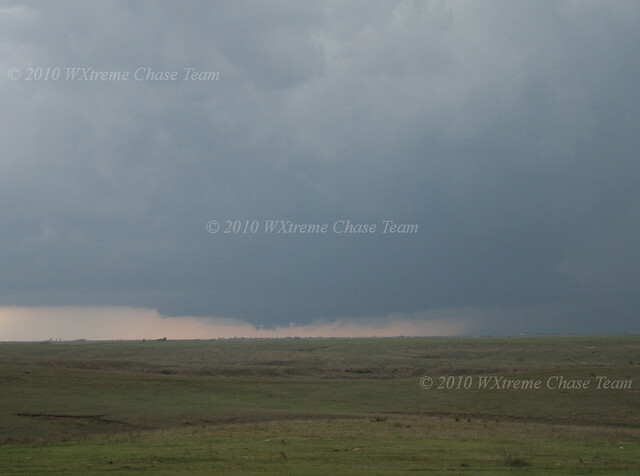 We moved closer toward Clarendon not wanting to commit too early since convection was developing in more than one area. A second storm was approaching from the SW behind the first, but we elected to follow the northern storm since it would be easier to drop back toward the southern one if the northern one failed to produce rather than to try to catch the northern one from behind. So we back-tracked to Clarendon and then drove N on SR 70 toward Howardwick and I-40. 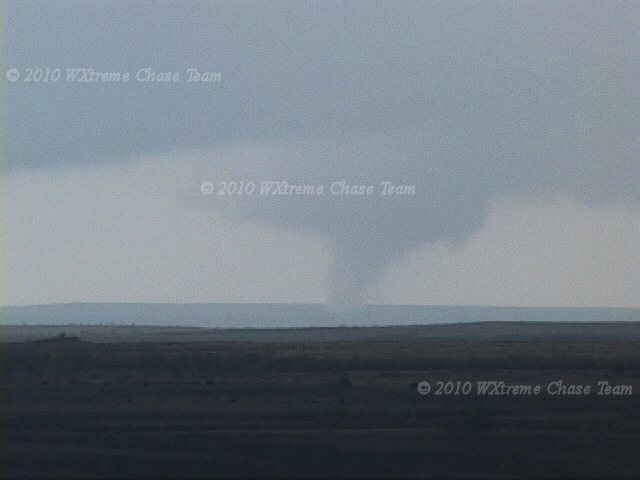 Meanwhile the tornado on the southern storm, now a large cone, continues to move closer to our position. 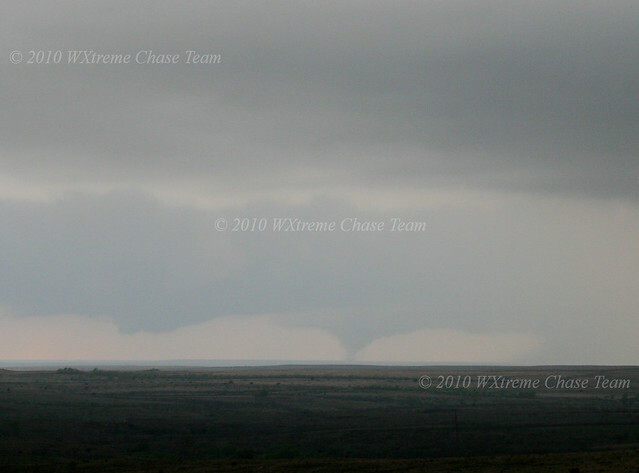 Between 5:25 and 5:30 CDT there may have been three tornadoes on the ground at the same time! 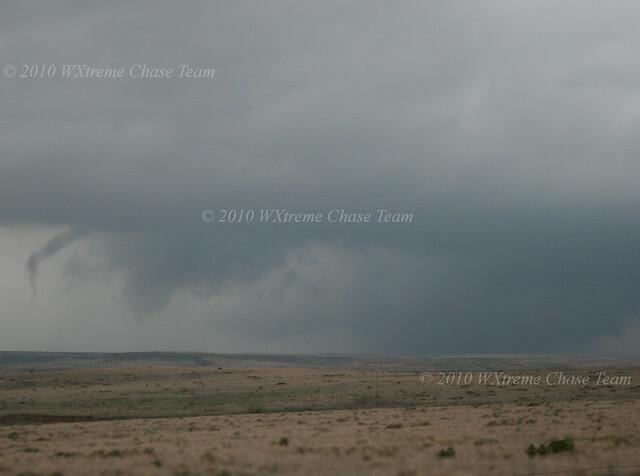 As the wall-cloud approached our position it produced several funnel clouds and brief touchdowns. 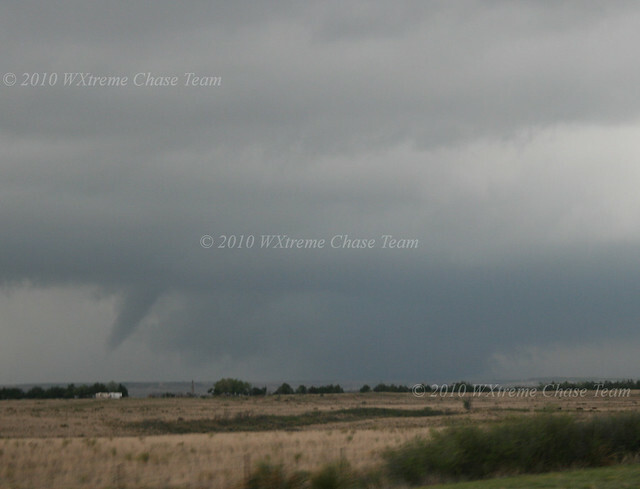 This one occurred as it crossed the road to our N at about 6:30 CDT. 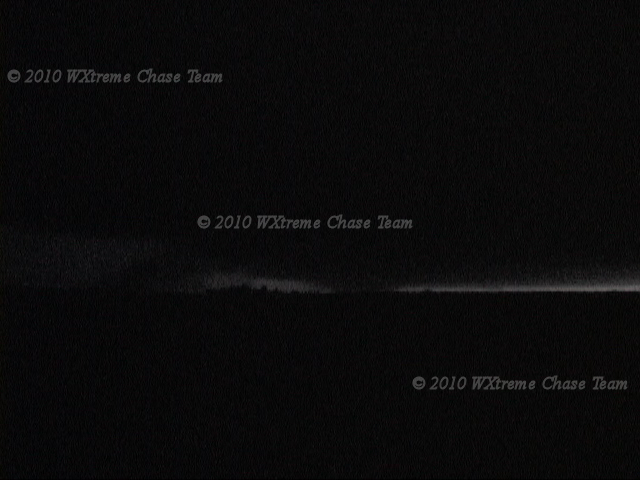 Notice all the chasers! 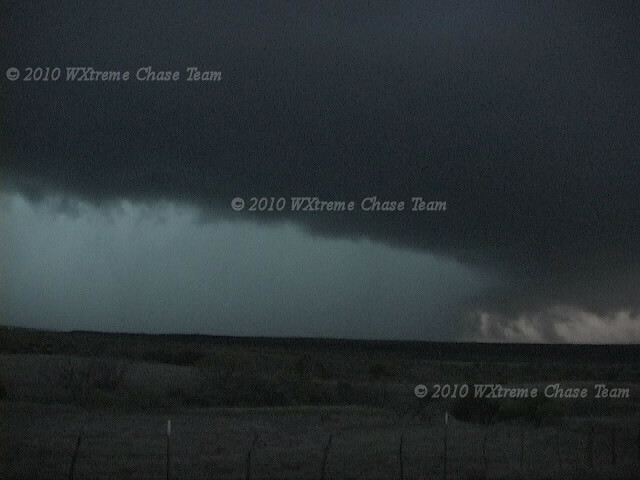 Partially condensed with rapidly rotating rain. 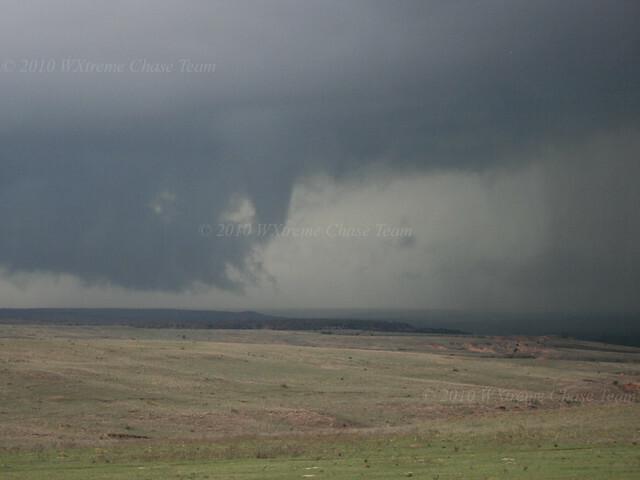 At this point we broke off this particular storm and elected to head W to a storm that had developed in the second target area SW of Childress. 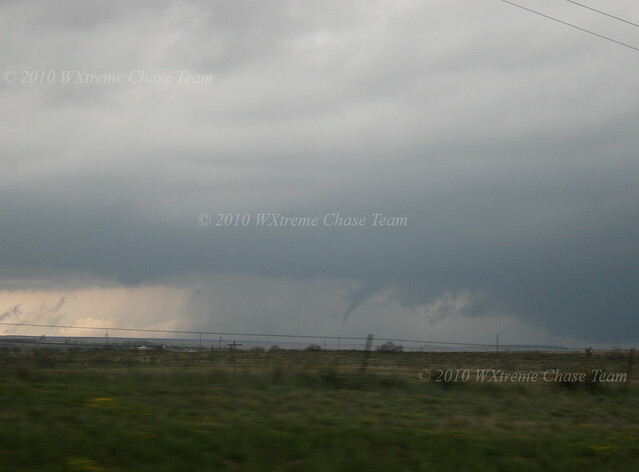 Our hope was to get to it before it crossed US 83 between Childress and Paducah. 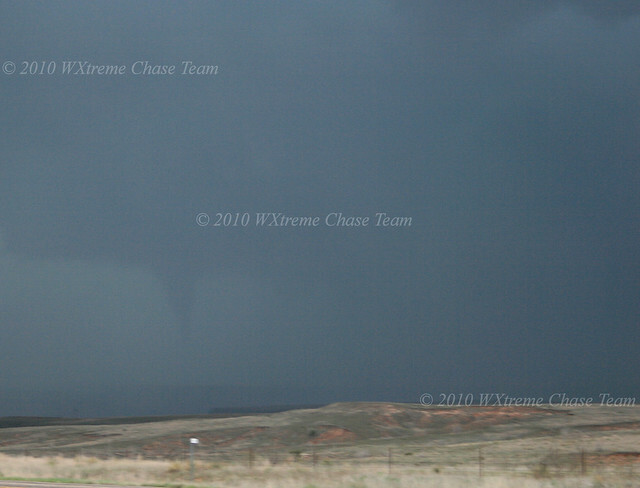 We managed to get in position in time and a large tornado was reported, but it was totally obscured by rain. 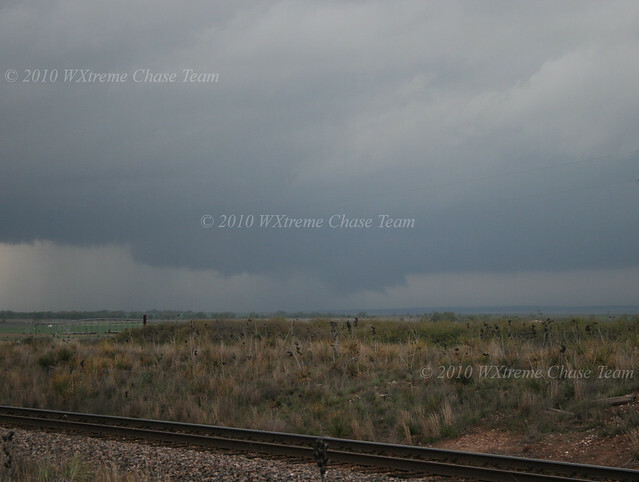 The storm had a well-defined collar cloud and a lot of inflow into the storm behind the rain was evident. 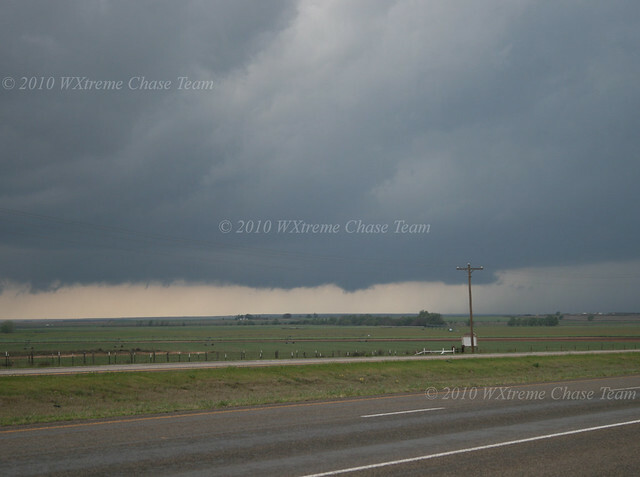 After this storm crossed US 83, it back-built and the rotation migrated back to the west. 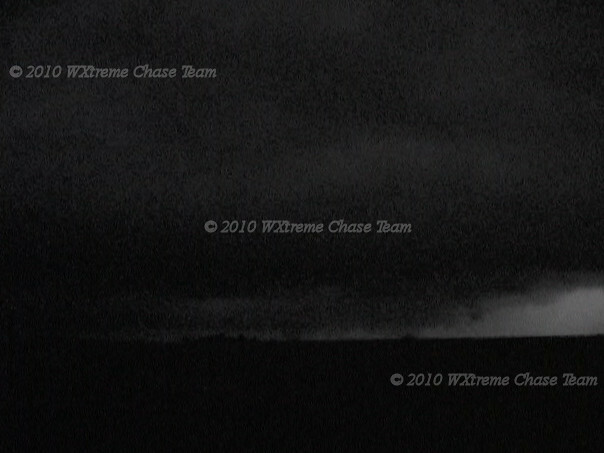 Well after dark we saw several tornadoes W and NW of our position a couple of miles N of Paducah. 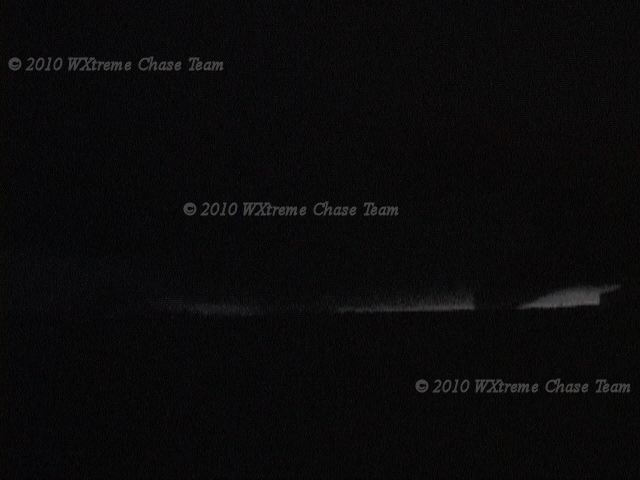 Here are some of the better video captures. 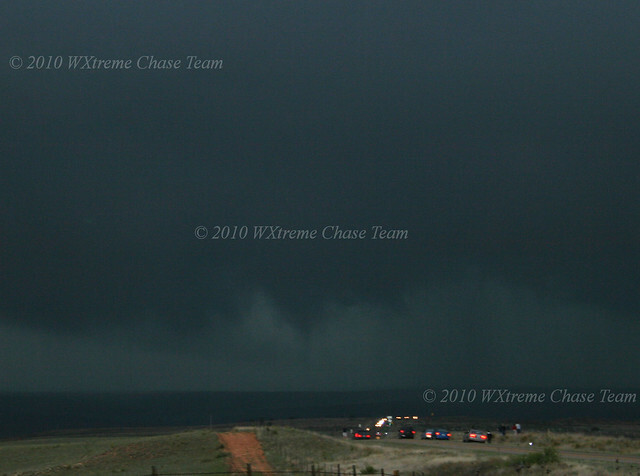 After the storm crossed the road we broke off the chase. 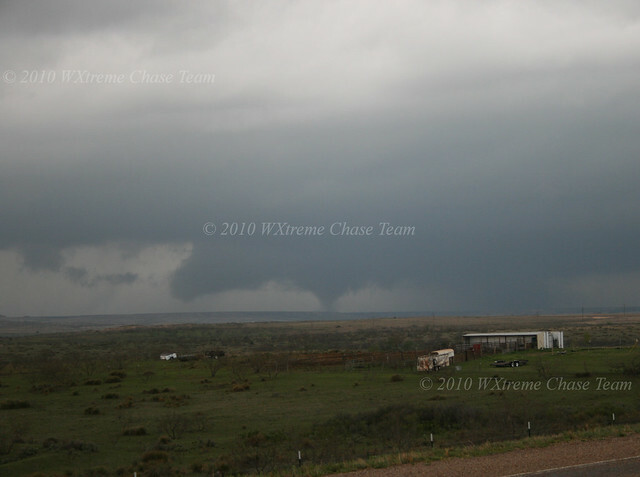 It did continue to produce damage in the Swearingen area as it moved E.
Tornadoes: Plenty for the day. If you count all the touchdowns, well more than a dozen. 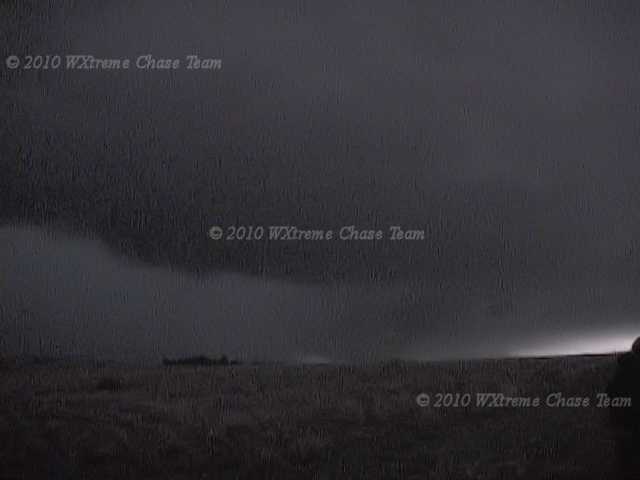 If you count multiple touchdowns from a single meso as a single tornado then 6 or 8.